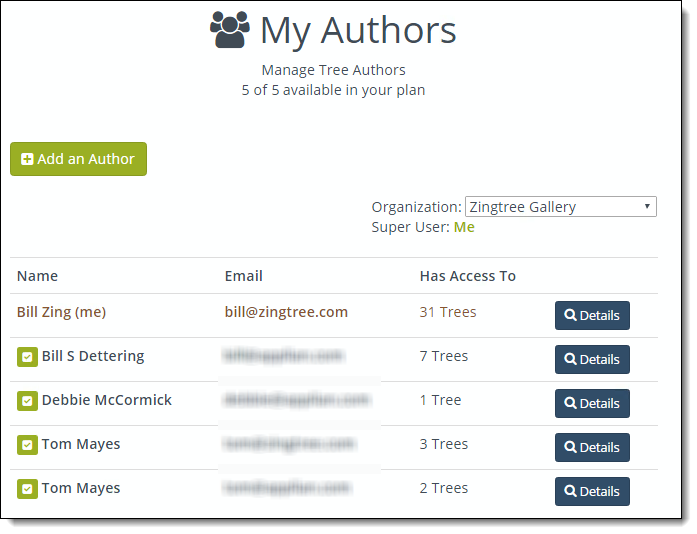 This latest update to Zingtree makes it much easier to manage permissions and access to trees for multiple authors. This is especially helpful for our larger customers. You can now view and add authors using Account > My Authors. Once an author has been added, they can be picked as a collaborator. You can also see all the authors in your organization. From My Authors, click on Details for each author, and see what trees they have access to, and what rights they have. The My Trees tool is improved. You can easily see all the trees you are working on, and what your rights are. Hover over the author count to see the names of the collaborators on that tree. 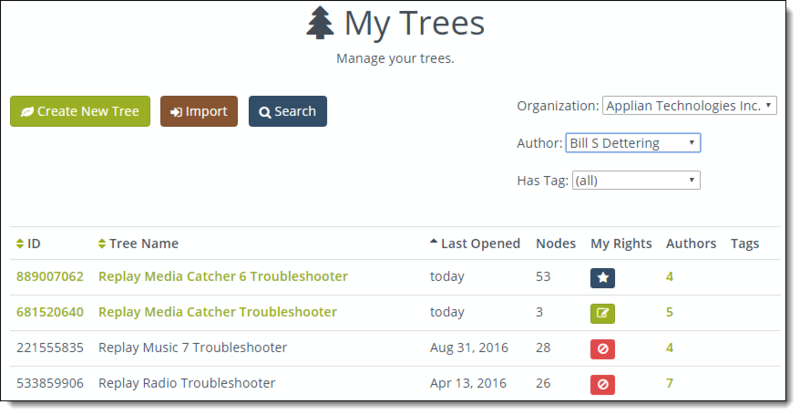 Change the Author selector, and see the trees other people are working on, plus view your rights on those trees. Click on a Rights icon to gain or request access to that tree. Each organization now has one Super User. This defaults to the Billing Administrator, or the person who first created the organization. The Super User can assign themselves Administrator rights to any tree, and delete authors. You can see all the rules for how rights and permissions work here. Many people asked for more control over the authoring process. 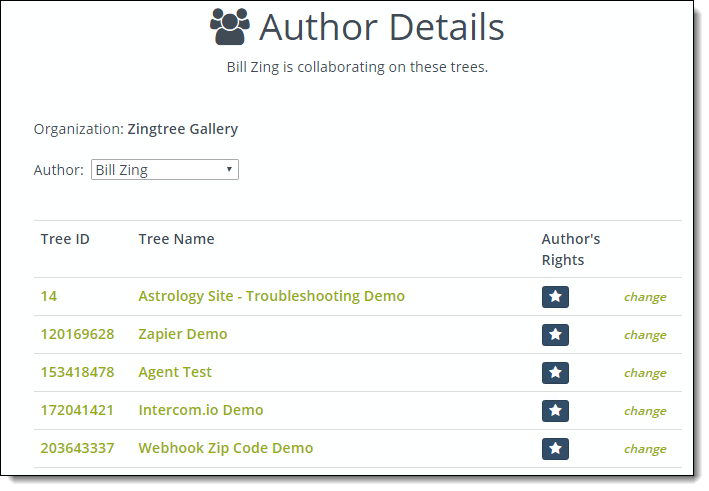 Thanks to all of you for your input – we’re happy to make Zingtree even better for you!